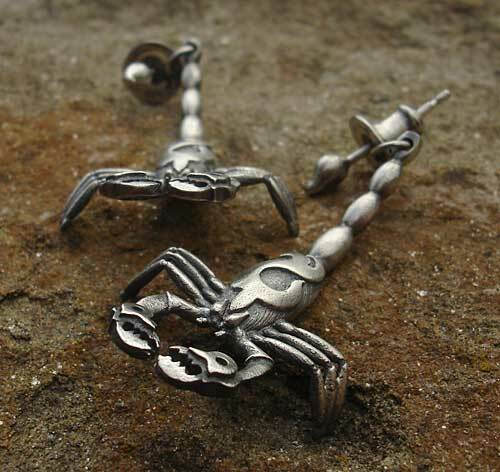 Oxidised Silver Scorpion Necklace : LOVE2HAVE in the UK! 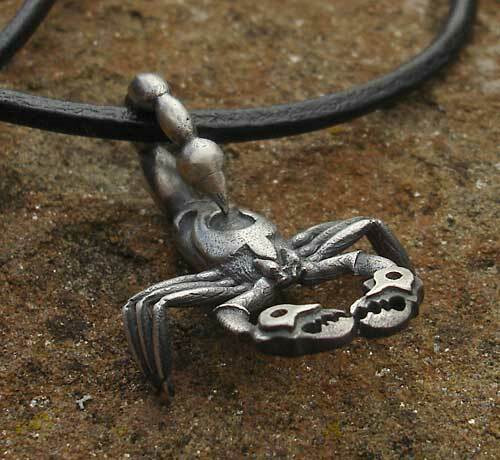 A fantastically detailed oxidised silver scorpion necklace, handcrafted here in the UK. 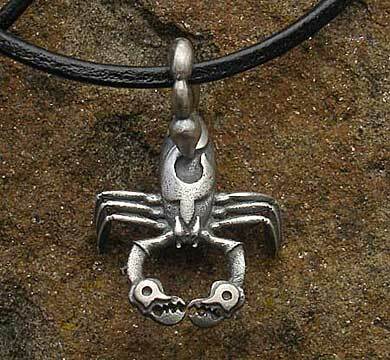 The silver scorpion measures approximately 20mm long x 15mm at its widest point. It comes threaded onto an 18-inch leather thong with silver clasp fastener. The tail of the scorpion wraps over the leather and back on to the scorpion, therefore, holding it securely and freely in place on the leather. A beautifully detailed example of British craftsmanship and matching earrings are also available too as pictured.